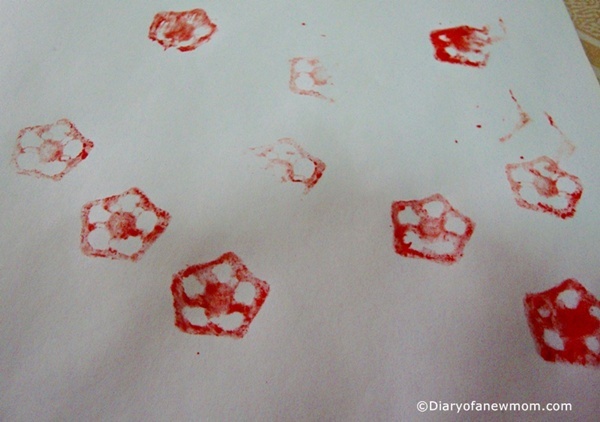 We tried another simple art at home.This time we used okra/ladies finger or ‘bandakka‘ (as we call in Sri Lanka) to make a simple drawing.Well,I dont have good photos to share as I simply use my phone to capture some moments while paying more attention to teach my son. Simply cut a side of okra.Then it will look like a flower pattern. 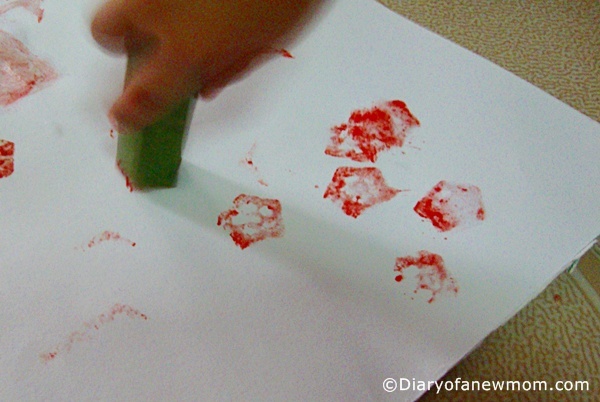 Use some paint and make stamp prints on a paper. 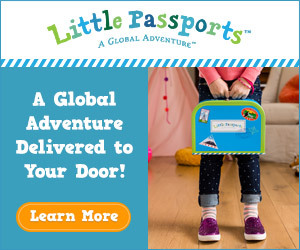 This is a great activity for a toddler and in age of 2,my son enjoyed his time playing with paint and vegetables.